Liverpool's rich European history was no shield against the chill blast of Champions League reality as holders Real Madrid rode into Anfield and left them badly beaten and embarrassed. The strains of "You'll Never Walk Alone" swirled around Anfield long after the music stopped in an attempt to create the atmosphere that has been the catalyst for so many European glory nights - but once the final note of the old anthem faded away it was all downhill at an alarming rate. No-one at Liverpool has found much use for Mario Balotelli since his £16m move from AC Milan - so the sideshow of his decision to swap shirts with Pepe at half-time should not act as a fig leaf to cover up the shortcomings of both the Italian misfit and Brendan Rodgers' team as a whole. Balotelli's gesture was ill-advised, badly-timed with Liverpool 3-0 down at half-time and an affront to former players who recognise the unique bond the shirt has between players and fans at this club. It can, though, be filed under the least of Rodgers' worries after Real almost did their opponents a kindness by easing up and looking towards this weekend's 'El Clasico' with Barcelona. "Liverpool - European Royalty" read the banner on the Kop. Not on this night when Real Madrid reigned supreme and left Liverpool fighting for their survival in the Champions League. They have been absent from the Champions League from December 2009 until Rodgers returned them to the elite after almost winning the title last season - Wednesday showed how much ground they have lost. So, after admitting he will deal with Balotelli after his shirt swap, what else will Rodgers reflect on after a harrowing experience? Liverpool captain Steven Gerrard may have been gazing into his crystal ball when he warned they could not afford "passengers" against Real - and that passenger turned out to be Balotelli. Set aside the rights and wrongs of his shirt ritual, of greater concern to Liverpool must be his level of performance, or to be strictly accurate non-performance, since his arrival at Anfield. One goal against Ludogorets in Liverpool's opening Champions League game and since then diminishing returns to the point where if he had any sort of honeymoon period at Anfield, it is over. Aside from "shirtgate", Rodgers' more significant comments centred on how Balotelli was subbed at half-time, adding that he wanted more pressing and pressure on Real's central defenders. The subsequent praise of his replacement Adam Lallana sounded like a jab in Balotelli's direction. An airy "casting pearls before swine" wave of Balotelli's hand after a wayward pass was not read by his team-mates caused more dissatisfaction and he was on his way before taking his shirt off. Rodgers did not spot it initially so his removal was not a punishment. So what to do now? 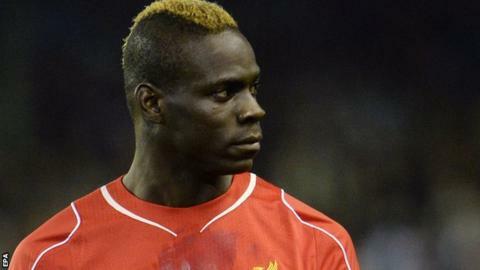 Balotelli already looks destined for Anfield's margins, certainly when Daniel Sturridge returns to fitness. Liverpool and Rodgers, however, are stuck with finding a way of coaxing something out of a figure who already carries all the hallmarks of a failed £16m gamble. Liverpool have gone from having arguably the world's most intense striker in Luis Suarez to a striker who appears to regard movement and work as some sort of optional extra. How Liverpool solve the problem of Mario will be one of their biggest conundrums. The screens in Anfield's lounges showed Liverpool's blistering 4-0 win over Real Madrid in the Champions League in 2009- but the chances of a repeat were nil. Just look at the respective line-ups for that game and you see how both sides have been heading in opposite directions for years, resulting in the gulf in class shown at Anfield on Wednesday. Liverpool had Pepe Reina in his prime in goal, Jamie Carragher in defence, a midfield containing Steven Gerrard, Xabi Alonso and Javier Mascherano that could stand comfortably alongside almost any in Europe and Fernando Torres in such form on that March night that one observer described him as "a silver bullet in football boots." Liverpool: Reina, Arbeloa, Skrtel, Carragher, Aurelio, Alonso (Lucas 60), Mascherano, Kuyt, Gerrard (Spearing 74), Babel, Torres (Dossena 83). Subs not used: Cavalieri, Hyypia, Ngog, Kelly. Goals: Torres 16, Gerrard 28 pen, 47, Dossena 88. Real Madrid: Casillas, Sergio Ramos, Cannavaro (Van der Vaart 64), Pepe, Heinze, Robben (Marcelo 46), Lassana Diarra, Gago (Guti 77), Sneijder, Raul, Higuain. Subs not used: Dudek, Saviola, Metzelder, Miguel Torres. Real, by contrast, had the fading forces of Fabio Cannavaro, Gabriel Heinze and the great Raul under the short-term stewardship of Juande Ramos. Gonzalo Higuain, Wesley Sneijder and Arjen Robben were in residence but it was hardly a "Galactico" side. Liverpool's midfield on Wednesday was Gerrard, Jordan Henderson and Joe Allen while the departure of Suarez, Sturridge's injury and Balotelli's failings left them without serious threat. Real, by contrast, had the great Cristiano Ronaldo, Karim Benzema, James Rodriguez, Toni Kroos and Luka Modric. Gareth Bale may have been absent but his replacement Isco was arguably man of the match. No comparison. No repeat. The Champions League waits for no club and Liverpool have catching up to do. Liverpool have two survivors from the side which beat Real 4-0 five years ago, Martin Skrtel and Steven Gerrard. Both started at Anfield on Wednesday. Iker Casillas, Sergio Ramos and Pepe are still with Real Madrid. Casillas and Pepe played at Anfield. Of the Liverpool side from that night, Jamie Carragher and Fabio Aurelio have since retired while Pepe Reina and Xabi Alonso are now with Bayern Munich. Right-back Alvaro Arbeloa is at Real Madrid and played against the Reds on Wednesday. Javier Mascherano will face Real for Barcelona on Saturday, while Dirk Kuyt and Ryan Babel now play in Turkey. Fernando Torres is on loan at AC Milan. Liverpool's hallmarks last season were fierce pressing, attacking verve and the ability to terrorise opponents with pace and threat, with Suarez, Sturridge and Raheem Sterling in the vanguard. A fast start was another stock in trade. On Wednesday they came out swinging like a boxer attempting to land a shock knockout blow to the chin of an opponent they knew was stronger, better and vastly superior. Once that failed, after roughly 20 minutes, Real effectively said: "Thanks for that lads - we'll take it from here" and gave Liverpool the most fearful going over. Liverpool were blown out early and ran ragged by Real's class, not helped by a defence that was vulnerable last season but were rescued on occasion by brilliant attacking. The lack of that brilliant attacking this season leaves them even more exposed. Liverpool keeper Simon Mignolet is an uncertain, indecisive figure while Dejan Lovren is struggling to justify his £20m price tag. The flaws were symptomatic in Real's third goal, in which the ball seemed to bounce around Liverpool's six-yard area for an age before Benzema poked home. If there is one player carrying the fight for Liverpool it is Raheem Sterling - and he was even given the responsibility of taking the attack to Real's centre-halves after Balotelli was hauled off. This is a teenager of rich promise, and while no-one could make the comparison with Ronaldo, a glance at their comparative Premier League stats makes interesting reading and gives even more hope for the future. Sterling has played 68 games with 44 starts and scored nine goals - at Manchester United Ronaldo had made 50 starts out of 68 at the same stage and scored 14 goals. Sterling has eight assists to Ronaldo's nine and created 90 chances to Ronaldo's 112. He is very much a work in progress but there are wonderful raw materials to work with and his contribution on Wednesday drew praise from both Rodgers and Real coach Carlo Ancelotti. It takes something special for a player so closely associated with the old enemy Manchester United to be applauded off at Anfield - but large sections of Liverpool's support rose to Cristiano Ronaldo when he was substituted after 75 minutes. Part gesture of appreciation, part admission of submission, Real Madrid's Galactico-in-chief showed what the Premier League is missing and why talk of a return to Manchester United must remain a pipe dream for now. Ronaldo also provides a commentary on the Premier League's desire to be rated as the best in the world. Best product maybe - but not the best league when Ronaldo plays in La Liga along with Lionel Messi and Suarez. The stats are assembled around Ronaldo like a monument to his greatness. He scored his 70th Champions League goal with Real's first at Anfield, now only one behind his Real predecessor Raul. Ronaldo has scored 20 goals this season to Liverpool's 17, and has 395 club goals and 272 for Real Madrid. He is the identikit attacking footballer. A brilliant header with a prodigious leap, sensational on the floor and a glorious goalscorer.